Join us for a day of free activities to commemorate Remembrance Sunday, and learn more about the soldiers of WW1, and the Royal Pavilion Estate's role as a military hospital during this time. From December 1914 to January 1916 the Royal Pavilion Estate was used as a hospital for sick and wounded Indian soldiers. 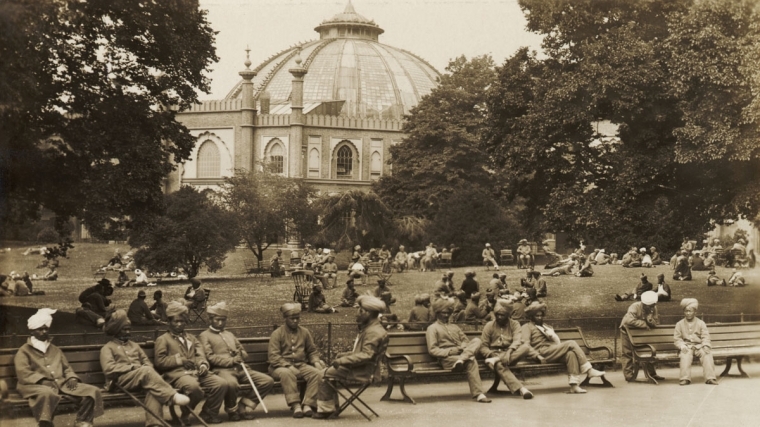 This talk will explore why Indian Army troops came to fight for the British cause on the Western Front, how the Royal Pavilion Estate was transformed into a unique military hospital, and unpick some of the complex myths that surround the story. There will also be a stall set up all day with further information about Brighton Dome's involvement during WW1, plus find out what the Historical Research Volunteers have discovered about our history.